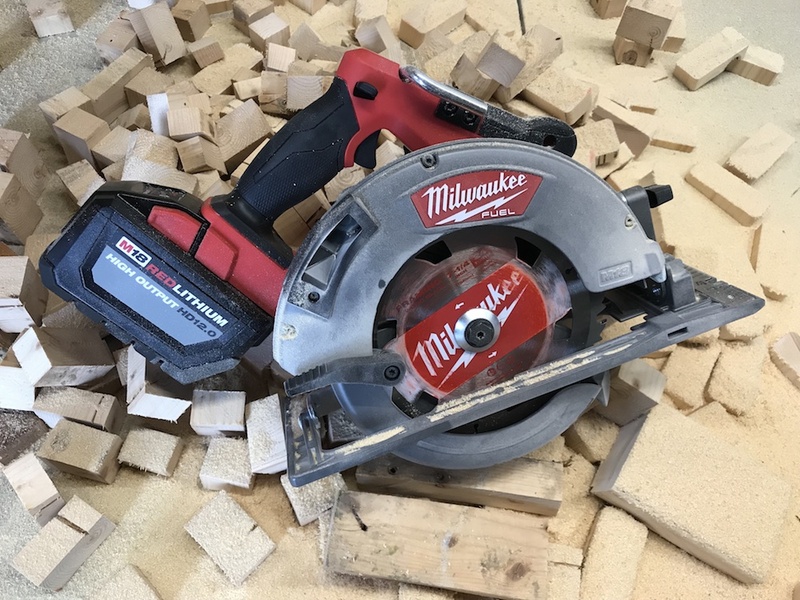 We did a full review on the Milwaukee 2731-21 circular saw, the predecessor to the Milwaukee 2732-21HD, about four years ago. The saws are almost identical, with the same robust build quality and attention to detail. Apparently in tools, though, just like in humans, extra muscle means extra weight. The original saw weighed in at 7 lbs. 10 oz. without the 4.0 Ah battery that came with it. Adding the battery brought the total to 9 lbs 3 oz. The Milwaukee 2732-21HD weighs just over 9 lbs. without its 12.0 Ah battery, and 12 lbs. 7 oz. once it’s strapped on. That’s a pretty big difference in weight, but it brings with it a HUGE difference in power. The original (R) may be leaner, but its successor is definitely meaner. The red-clad engineers at Milwaukee gave the Milwaukee 2732-21HD the mechanical equivalent of a shot of steroids. 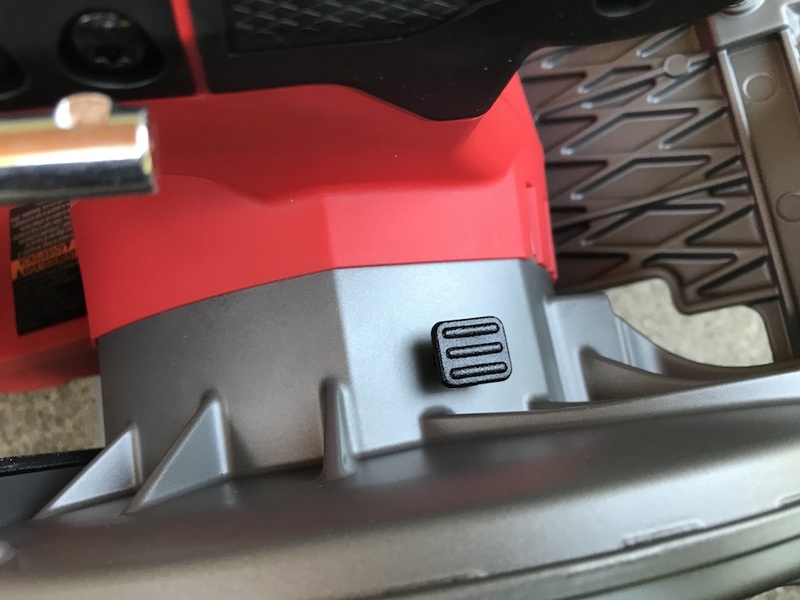 First, they completely re-designed the brushless motor, tailoring it specifically to the new saw, and giving it more power and a speed boost to 5,800 RPM. Then they did a bit of brain surgery, giving its Redlink Plus operating system a complete overhaul. The REDLINK PLUS system optimizes the saw’s performance, and protects it from overload, overheating and over discharge. 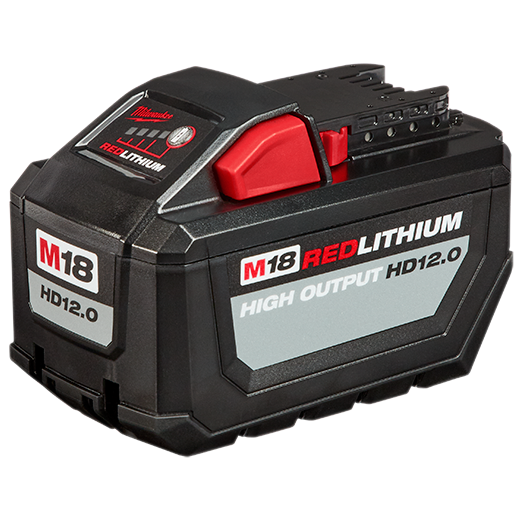 Rounding out the do-over trifecta is Milwaukee’s latest triumph in battery technology, the High Output HD12.0 Ah M18 battery. Milwaukee claims the new battery cranks out 50% more power and runs 50% cooler than the previous heavyweight champ, their HD 9.0 Ah battery. That’s a pretty significant boost. To give it its first whupping, I took the Milwaukee 2732-21HD to the woodshed. Actually, it was my workshop, which is very similar to a woodshed, if you ignore the fact that it’s not a shed, and there’s no wood stored in it. Anyway, I gathered up some bowed and salvaged 2X4s, and got ready to make some sawdust. Getting the Milwaukee 2732-21HD into action is about as easy as it gets. 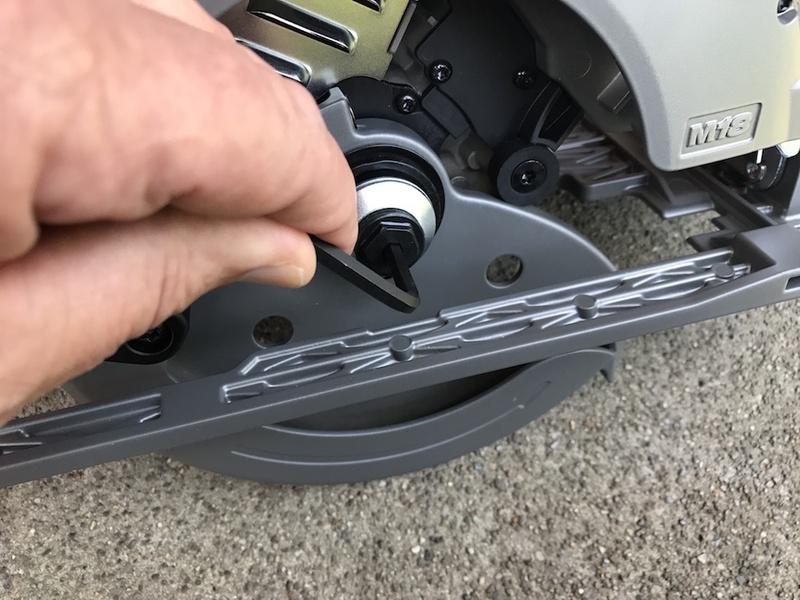 The saw comes with a 24-tooth framing blade, and it’s easy to install. Pop the blade wrench out of its perch behind the handle, depress the spindle lock, and remove the blade bolt. Slide on the blade, and insert and tighten the bolt. Keep in mind that the teeth should point upward at the front of the saw, and since this is a right-bladed saw, on some replacement blades the logo may face inward. Now just slide in a charged battery, and get to work! The little blade wrench stays secure until you need it. Remove the bolt, add the blade, and tighten ‘er up. All bladed up and ready to slice and dice! 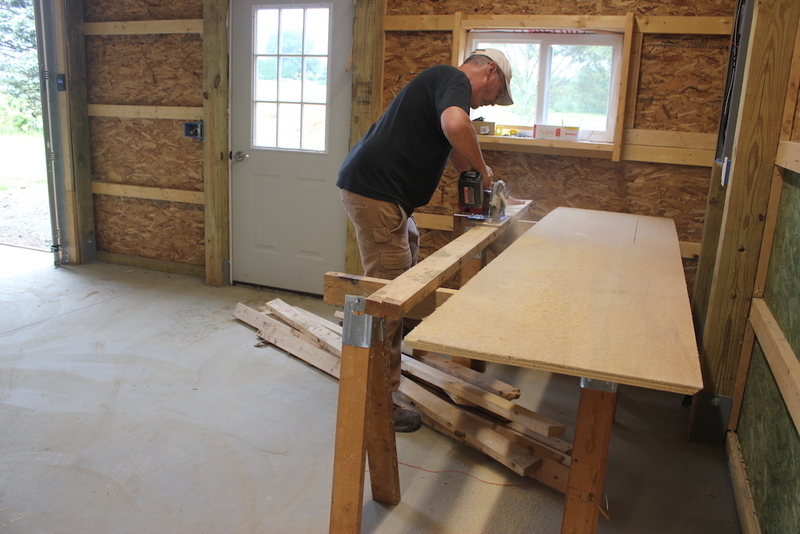 If you’re used to using a corded saw, there’s one more minor step to learn. 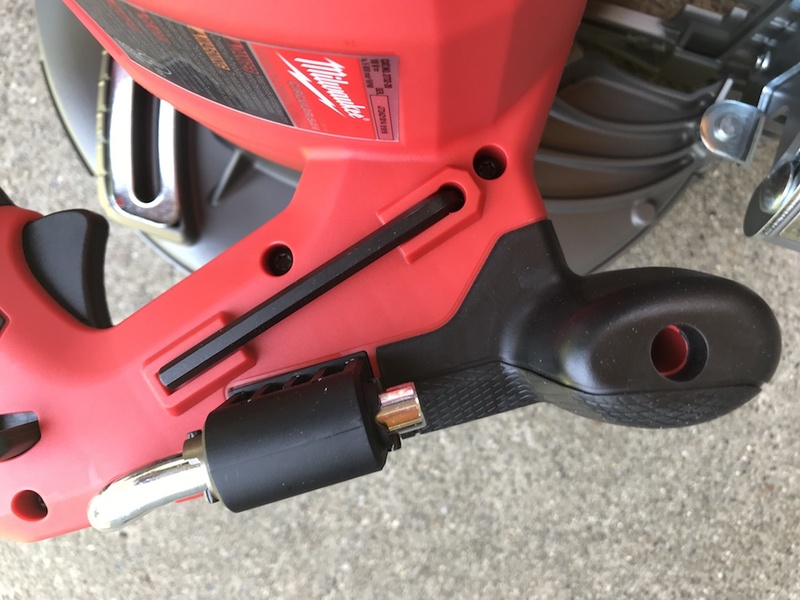 Since a cordless saw is always “live” whenever there’s a battery installed, there’s a lock-off button you have to push down with your thumb before you can pull the trigger. It’s a minor annoyance that you get used to pretty quickly. It’s worth putting up with if it saves you, or someone else, an unscheduled underwear change – or worse – somewhere down the road. 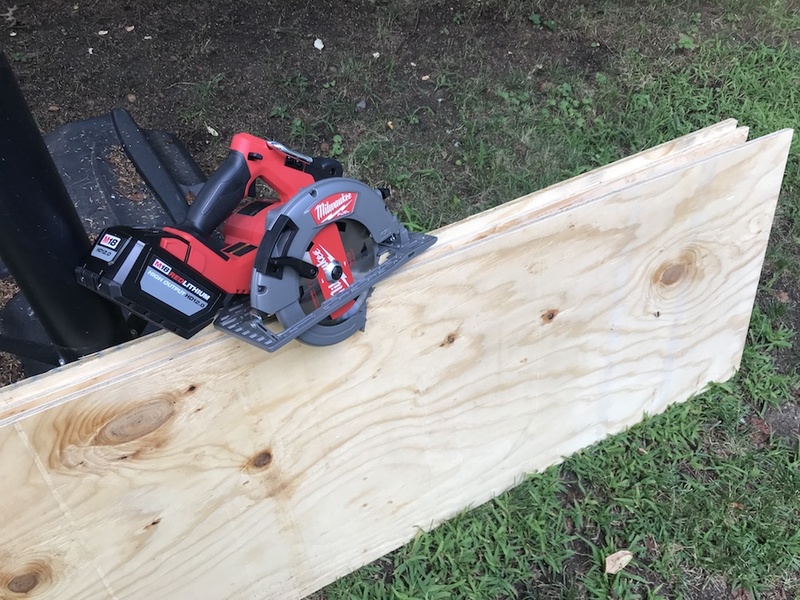 When I pulled the trigger on the Milwaukee 2732-21HD and made my first cuts, I was truly impressed. The saw really does feel every bit as powerful as a corded circular saw. It effortlessly sailed through cut after cut, with absolutely no bogging down or stalling. I cut one full-length stud into bite-size chunks, then ripped another from end to end. 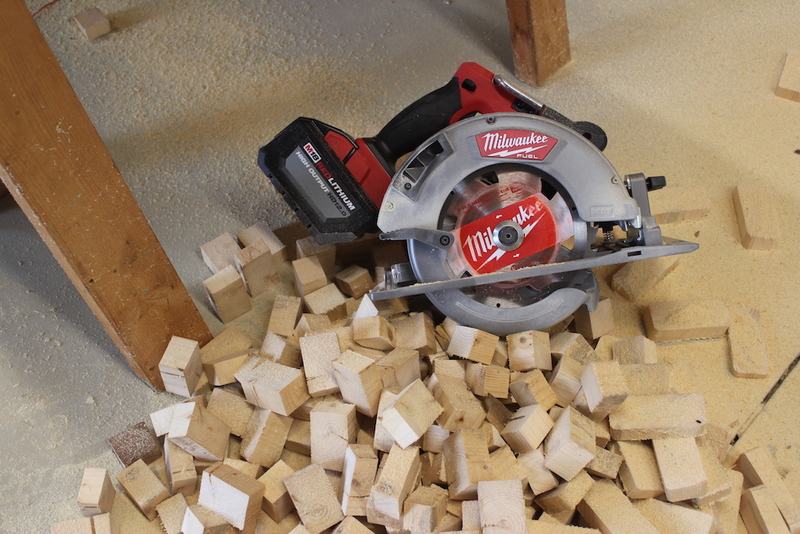 The Milwaukee 2732-21HD chewed its way through quickly, and once again the saw felt equal to a corded saw. The Milwaukee felt strong right from the start. And quickly had the first 2X4 right-sized. It was equally strong ripping a 2X4 end to end. After ripping the stud, I grabbed another stud and resumed the cross cuts. I kept at it until the board was too short to safely make any more cuts. 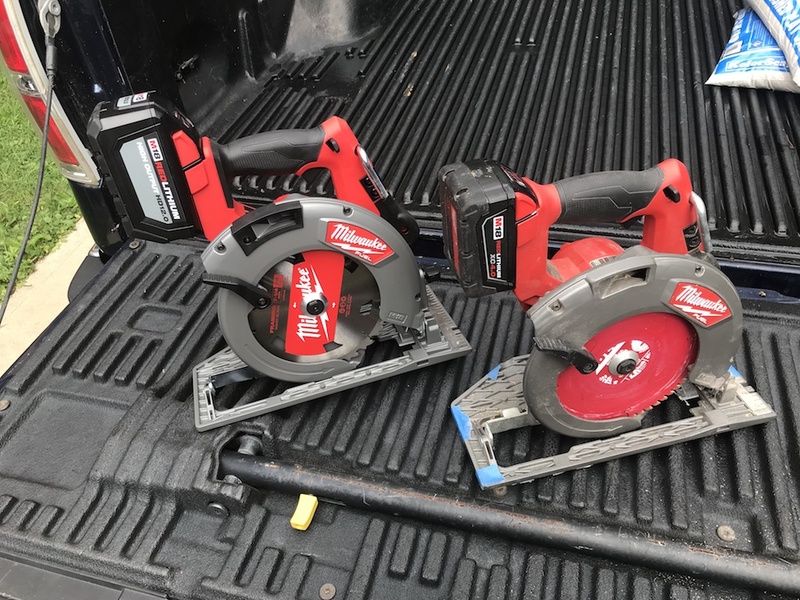 At this point, the Milwaukee 2732-21HD was still going strong, but my forearm was getting tired from wielding the 12-1/2 lb. saw for so many continuous cuts. Getting old and weak? 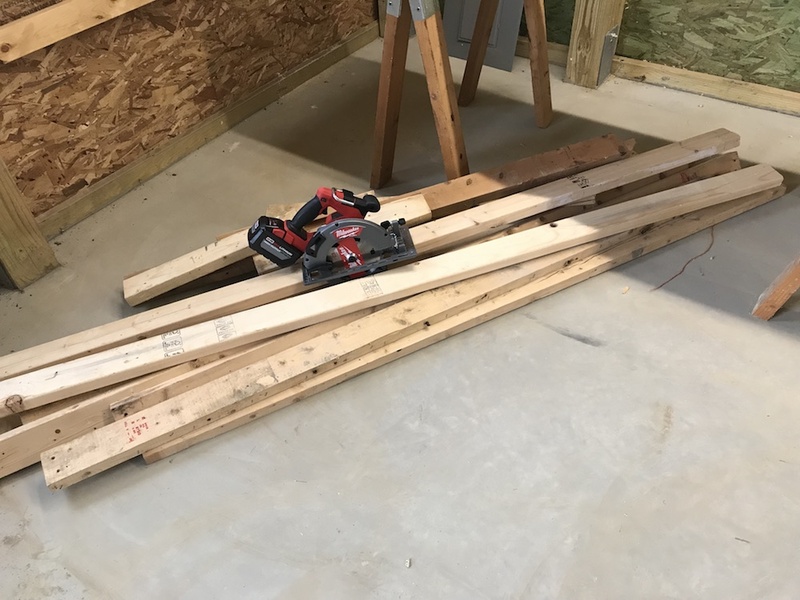 Possibly…anyway, I counted my cutoffs, and at that point the Milwaukee 2732-21HD had made 182 cross cuts and one 8’ long rip cut, all without a break. The High Output 12.0 Ah battery still had 3 out of 4 bars left, and I was ready to call it quits and belly up to ONE bar. Three bars left, after 182 cross cuts and one 8′ rip. Not bad. Milwaukee touts the Milwaukee 2732-21HD as having the power of a 15-amp corded saw. They speak the truth. The saw is well designed and ruggedly built, and should hold up well under typical job site abuse. As I said, it’s almost identical, at least outwardly, to the saw we reviewed almost four years ago, and that saw is still going strong. 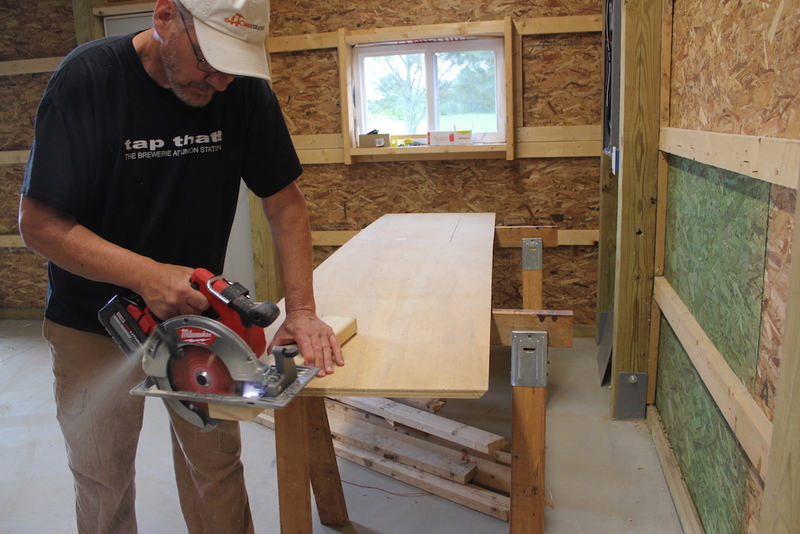 The Milwaukee 2732-21HD circular saw should hold up very well. 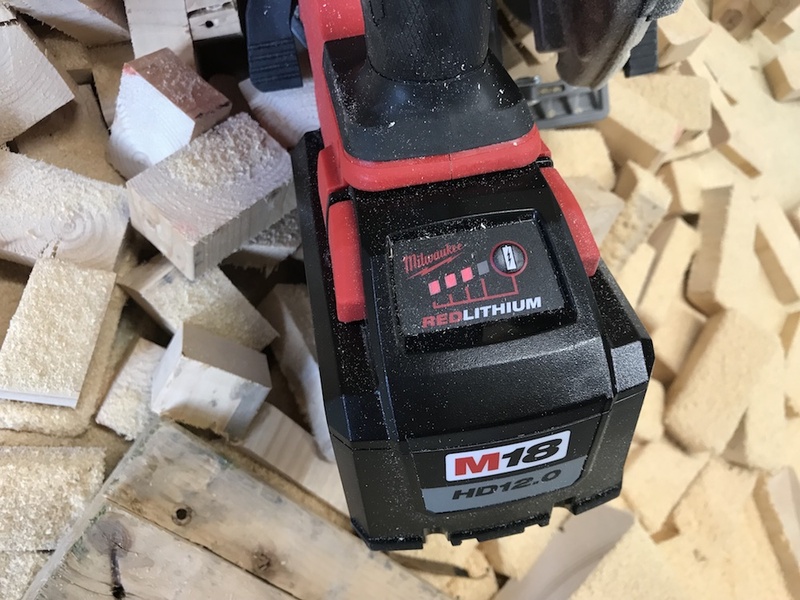 Nowhere near as strong as its new brother, though; Milwaukee has managed to wring an incredible amount of power – and run time – out of a single 18V battery. The older saw, with its 4.0 Ah battery, made around 210 cuts in our testing before the battery took its nap. The Milwaukee 2732-21HD came pretty close to that, and still had three bars of juice left. And that was going steadily, with no breaks like you’d have on a normal job site. 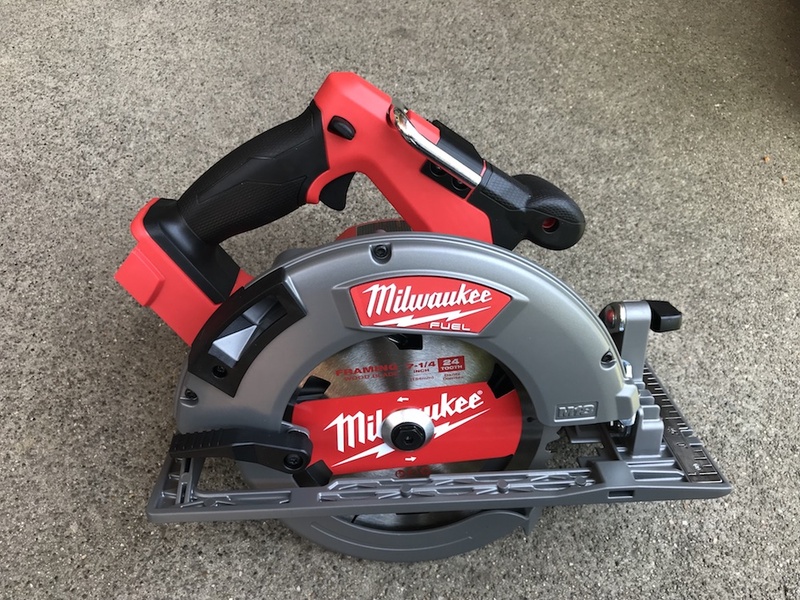 Milwaukee’s claim of up to 750 cuts on a charge seems pretty realistic to me, and the saw should last through a full day’s work at any normal job site. 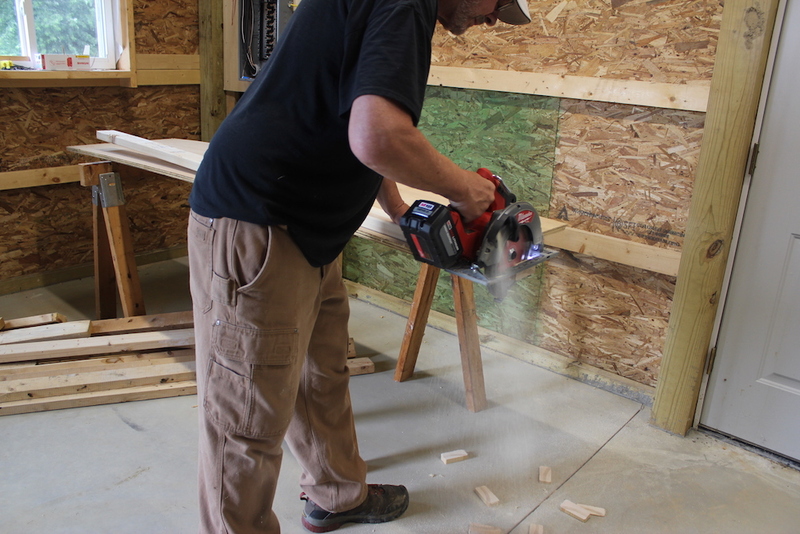 The Milwaukee 2732-21HD has the power to be the primary circ saw on the job site. Any downside? When using it non-stop like that, the saw does get heavy after a while, especially if you’re an old fart like yours truly. But damn, can it cut! 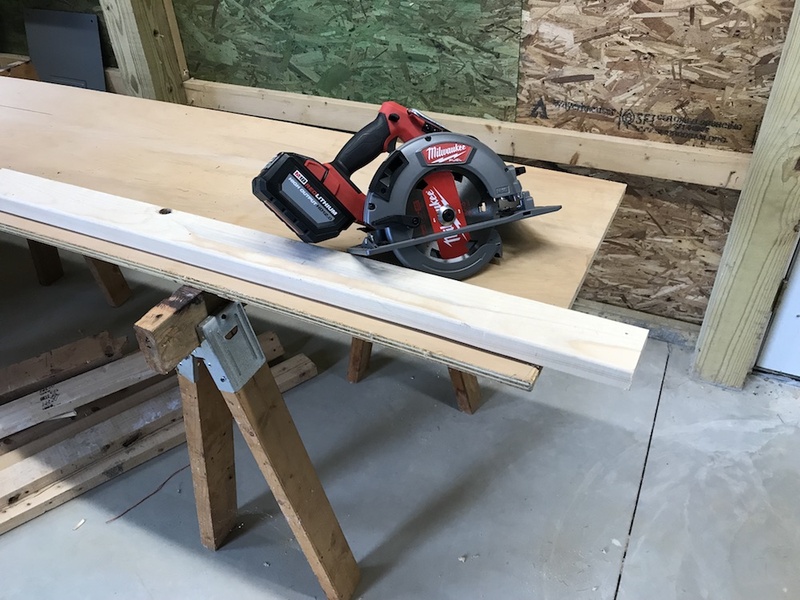 Other than that, there’s no reason the Milwaukee 2732-21HD couldn’t serve as the primary circular saw on any construction site. The saw is backed by a solid five-year warranty, with a three-year warranty on the battery, and the Home Depot’s 90-day return policy gives you a risk-free opportunity to take the saw for a long spin.